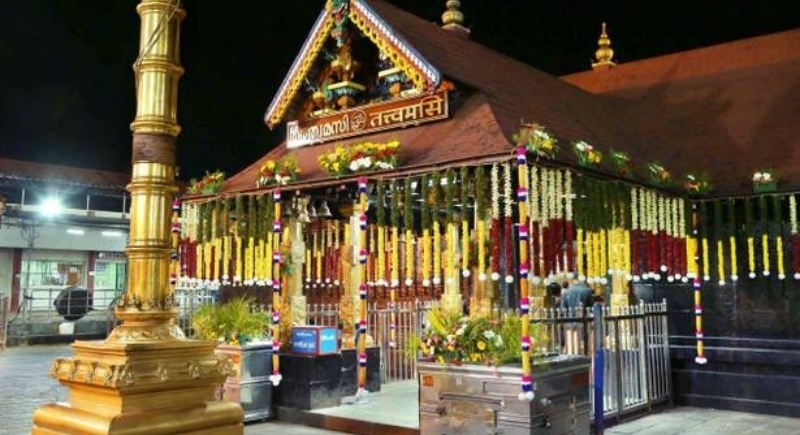 Thiruvananthapuram, November 24: The Kerala government is in favour of keeping two days exclusively for women pilgrims to offer prayers at the Sabarimala temple, a law officer of the state government told the High Court on Friday. The suggestion was put forward during a hearing of a petition by four devotees, all women, seeking the Kerala High Court's direction to the state government to make special arrangements for the entry of women into the hill shrine. The women devotees said at least three days a week can be kept aside for women of all ages to offer prayers at the Lord Ayyappa shrine as no women of menstruating age has been allowed to enter the temple despite an order by the Supreme Court in September. Responding to this, a law officer of the government said that it was in favour of reserving two days for the women devotees. The four petitioners told the court that though they had followed the necessary rituals for Sabarimala darshan, they were forced to abandon their plan by protesters who had "heckled and harassed" them in their hometown, Ernakulam. "There is a threat to life to women devotees who want to go to Sabarimala," they said. The court told the petitioners that their safety was as "important as their fundamental rights." "We cannot send you into any trouble", the court said and asked the state government to submit a report on what options can be exercised for allowing under age 50 to offer prayers at the temple. In a historic order on September 28, the Supreme Court lifted a ban on women of menstruating age entering the temple. But no woman has been allowed to enter the Ayyappa shrine since then by the protesters who have fought street battles with the police to preserve the tradition of women aged between 10 and 50 not entering the shrine. The Supreme Court is slated to hear petitions seeking review of its order in January, but has refused to put it on hold.